Date of birth: 16th of October 1987. Tanja Puklek was born in Zagreb on 16th of October 1987. While finishing University (she graduated at University of Zagreb Faculty of Science Department of Mathematics in 2012.) she started her engagement in sewing, contemporary dance, juggling, partner acrobatics and yoga. Since 2010. until today she takes dance classes with choreographer and dancer Ognjen Vučinić at Zagreb Dance Centre, where she has been a part of numerous presentations. She gained her circus skils by being a part of several conventions and workshops, as well as exploring independently. Combining all the above, she has been exploring her artistic expression at AKC Medika on her own and cooperating with other artists and artistic associations (Razbibriga, Hoka Hey, Triko Cirkus Teatar, Skroz Over). 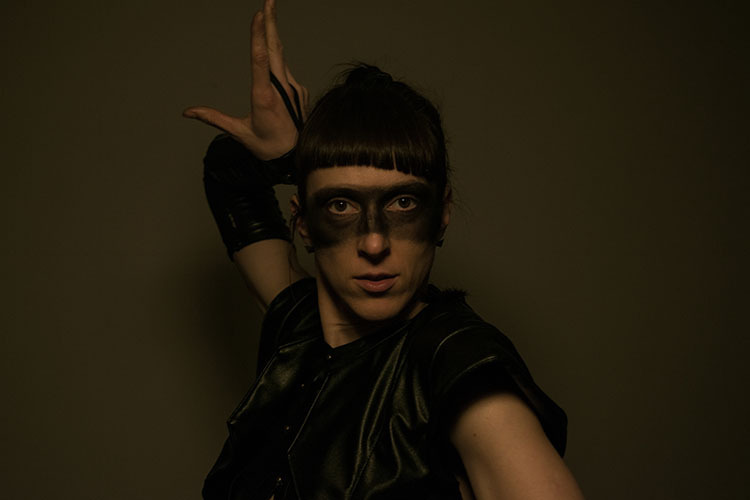 As author, co-author, performer and costume designer she has been working on several performances (Whise Monkeys, Magic of Creation, IV) performed in various festivals and events arround Croatia (Lost Theory festival in Deringaj, Night of Performances in Sv. Filip i Jakov, Špancirfest in Varaždin, Humanitarian Carnival Ball in Rijeka). Cooperating with association Razbibriga she has performed Fire Shows at street art festivals and medival festivals (VUF in Virovitica, CUFUS in Samobor, Old Town Fair in Konjšćina). She was one of scenography designers for the music video Izgubljeni pas by Croatian singer Goran Kos. She spreads the knowledge she gained in the field of Mathematics, as well as Dance and Circus, by teaching at school (Traffic School since 2014.) and giving workshops (Croatian Hoop Convention since 2015., workshops at AKC Medika).